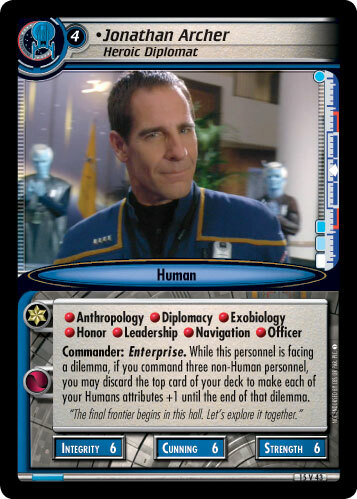 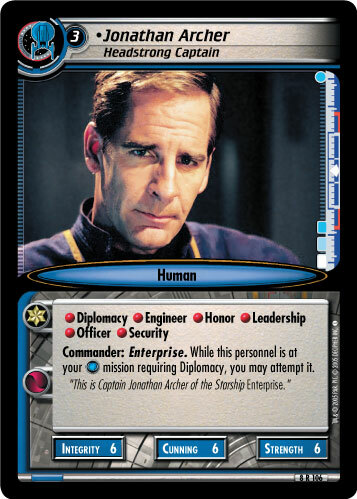 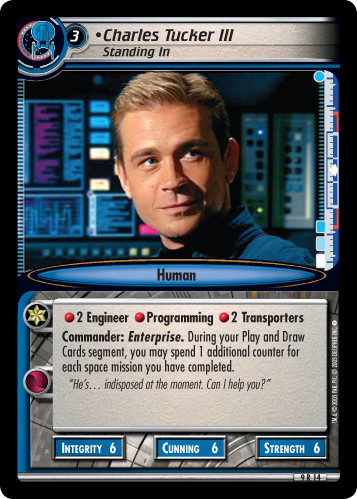 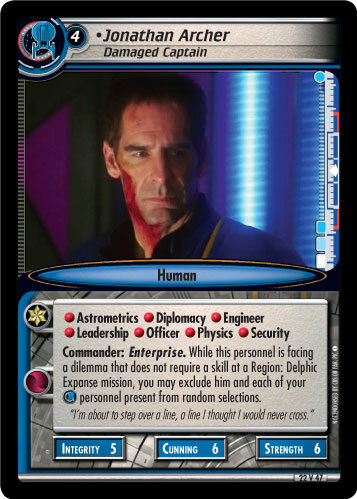 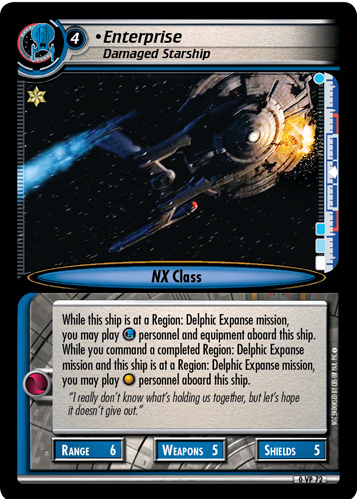 While this ship is at a Region: Delphic Expanse mission, you may play personnel and equipment aboard this ship. 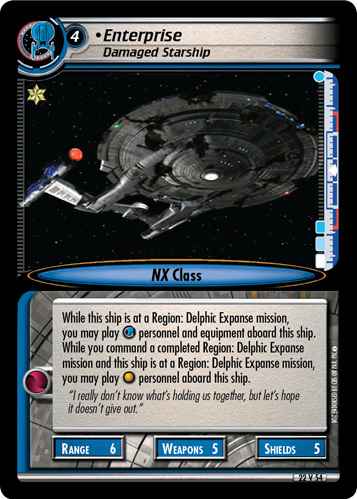 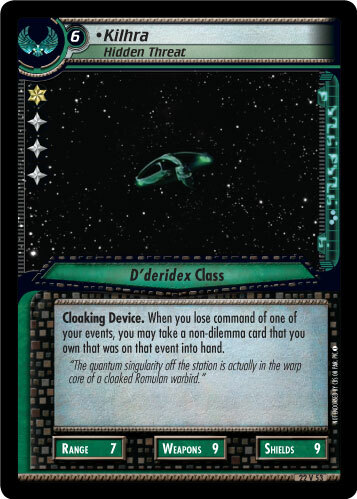 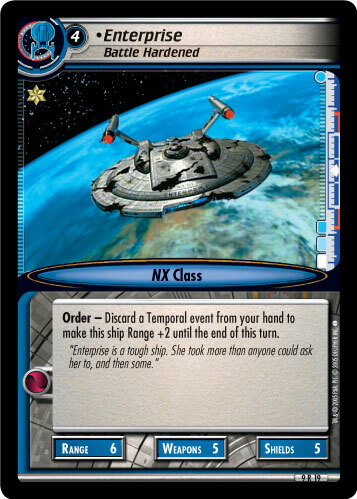 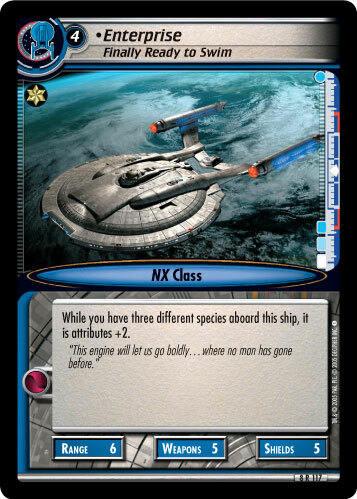 While you command a completed Region: Delphic Expanse mission and this ship is at a Region: Delphic Expanse mission, you may play personnel aboard this ship. 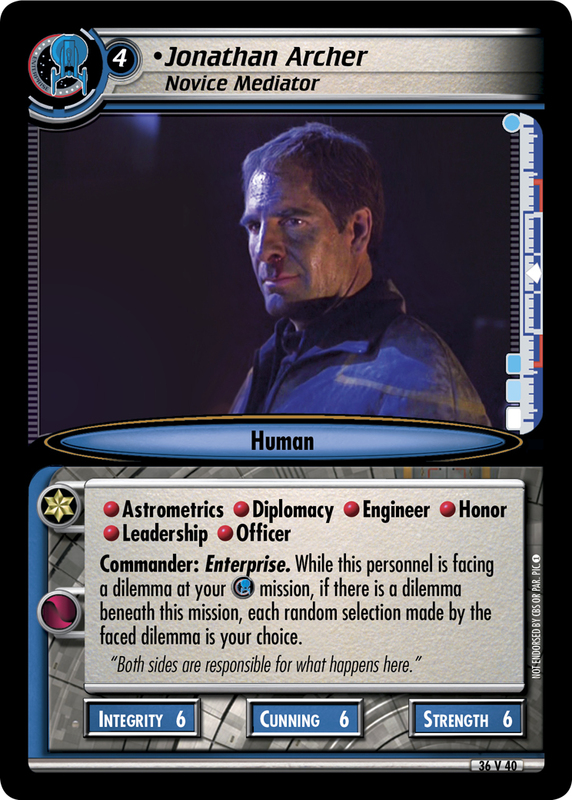 "I don't really know what's holding us together, but let's hope it doesn't give out."